Keep your favorite LARP weapon at your side with the stylish Geralt Diagonal Sword Frog. 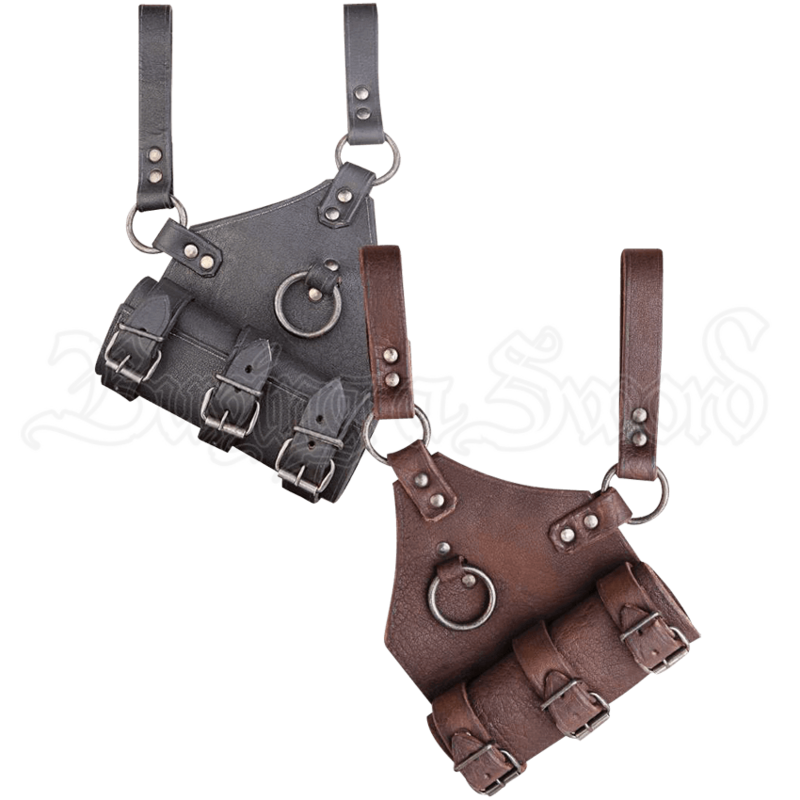 Made from thick, high-quality leather, this frog suspends weapons diagonally from a belt and is easily adjusted for different sized swords with its three buckled straps. The metal details of the frog are made of steel and feature a powder coating for a smooth finish. 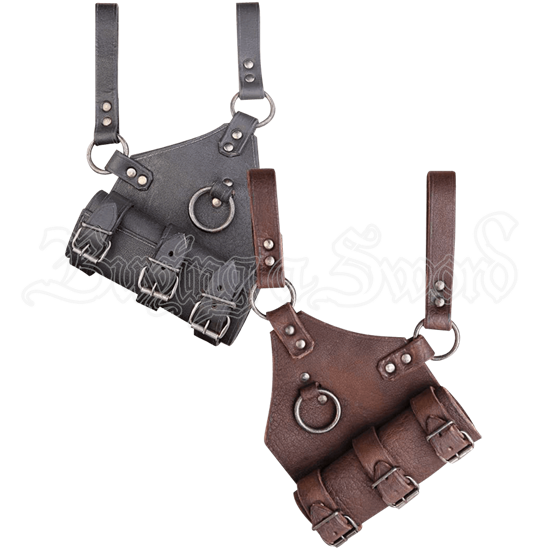 Two sturdy leather straps attach the frog to a belt. It is available in multiple colors and comes in a right handed version, which is worn at the left hip, or a left handed version worn at the right hip. Please be aware that the sizing option indicates what hip the frog hangs from. Left hangs on your left hip and is suitable for a right-hand draw, while right hangs from your right hip and suits a left hand draw. This is a natural product, therefore, minor variations in color and texture may exist.